Growing up, we would usually take at least one family vacation a year. It would be to Disney World, Ocean City Maryland, Virginia, or various other places along the east coast. Along the way, my brother and I started to collect buttons/pins from the places that we would go to. This collection continued as I would get pins from locations I visited when I was in college and even beyond. Over the summer, the boys and I found my giant box of goodies from growing up. The boys were mesmerized with everything inside. They loved seeing all of the ones from different Disney attractions and locations. Some of these sadly are long gone. NHL spent quite a lot of time reading all of them and asking me questions about the different pins and when I received them. What items have you and/or your children decided to collect and why? I collect shot glasses, magnets, spoons, and used to collect keychains but gave up that habit. My son collects Hot Wheels and Legos, and the girls collect Webkinz. :) Have a great weekend! Sadly, my children have never really wanted to collect anything. I collect snowmen and my daughter collects key chains. However I do have one of those also. 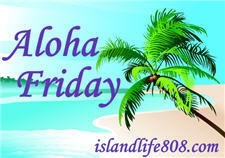 Auntie E´s last blog post ..Aloha Friday-What’s in your Medicine cabinet? My sons collect plush penguins. Sort of. We have about two dozen of them and they are well cared for like babies! Holly´s last blog post ..Free valentine printables set! I have way too many collections from my Antiquing days and I think my children got tired of seeing them all and have decided not to collect anything themselves. For now anyway. I bet that was soo much fun! We collect money from the countries we visit and magnets from the different states or parks and outings that we visit as a family. I’ve had collections of different things over the years, but I guess you could say I have a collection of nic nacs. Most are angels, but lately I’ve been collecting glass items mostly prisms. Love them. Bling Bling! Thanks for stopping by also have a grat weekend. Xmasdolly´s last blog post ..ALOHA FRIDAY PHOTO FLASHBACK, FOLLOW STALK HOP FRIDAY 40 & OVER!